The Sempervirens Club Records document the activities of the Club from its inception in 1900 to the early 1960s. The Sempervirens Club was founded to save old growth redwoods in Santa Cruz Mountains of California. The lobbying efforts of the Club resulted in the creation of Big Basin State Park. The records also document many activities of Sempervirens founder and professional photographer and painter Andrew Putnam Hill of San Jose, California. Andrew Putnam Hill was a San Jose artist and photographer who is credited with saving the old growth redwoods of Big Basin, located in the Santa Cruz Mountains of the California central coast area. Hill first saw the big trees of the redwood forest in 1899 when he was hired to photograph them for a magazine story. When he learned that they were to be logged he was inspired to work to prevent their destruction. From then on, much of his life was devoted to the cause of preserving the redwoods and to the creation of a public park at Big Basin. Hill was born in 1853 in Indiana. At the age of 14 he came to California with his uncle, attending preparatory school at Santa Clara College. He later studied art at the California School of Design in San Francisco. 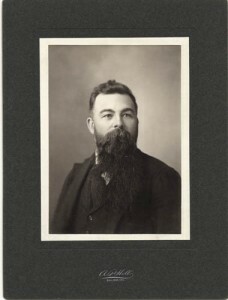 In 1878 he moved to San Jose and opened a portrait studio. He also painted landscapes, including historical scenes. He moved back to San Francisco in 1880. In 1883 he married Florence Watkins and they made their home in San Jose. They had three sons, the first one dying three days after his birth. Although his paintings were well received, he was not able to gain adequate income from his work. In 1889 he began a career in photography. In 1900 Hill gathered together a group of influential persons from San Francisco, San Jose, and Santa Cruz for a camping trip in Big Basin and it was then that the Sempervirens Club was founded. The Sempervirens were to become pioneers in the conservation movement. 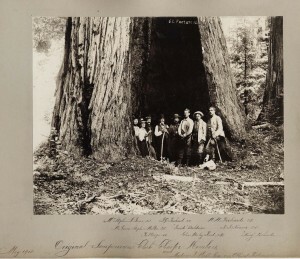 The club motto was “Save the Redwoods.” The first officers were Charles W. Reed, president; Carrie Stevens Walter, secretary; J. Q. Packard, treasurer; W. W. Richards, sporting secretary; and Andrew P. Hill, official artist. Their first order of business was the passage of state legislation that would provide for the purchase of Big Basin for a state park. They were able to enlist the support of many prominent people in politics, journalism, and education. Local papers, such as the Santa Cruz Sentinel, the San Francisco Chronicle, and the San Jose Mercury Herald, supplied favorable publicity for their cause. In 1901 California governor Henry T. Gage signed the appropriations bill providing for the purchase of 2,500 acres at the price of $250,000. In 1904 the California Redwood Park was officially opened to campers, becoming the first state park in California. The name was later changed to Big Basin Redwoods State Park. The Sempervirens Club continued to work for park expansion and development. 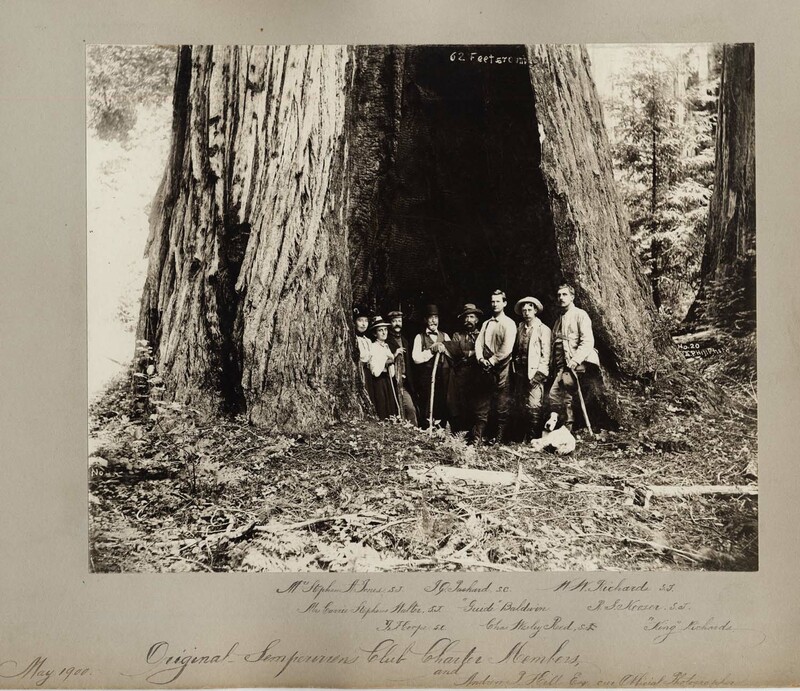 In 1908 they investigated rumors that redwoods were being logged in the park. When this was discovered to be true the Santa Cruz Grand Jury stopped the logging. This scandal caused the park to be once again placed in the hands of the Redwood Park Commission, a citizen group, rather than the State Board of Forestry. 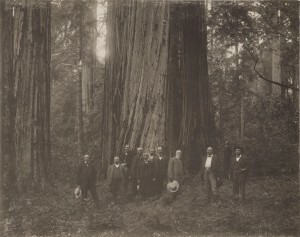 Subsequent activities of the Sempervirens Club included the passage of legislation to acquire more land, to build a road from the east from Saratoga to Big Basin, and to build a road from the coast to Big Basin. They supported other conservation efforts, notably that of the Save the Redwoods League, which was concerned with preserving redwoods in the northern part of the state. The Sempervirens Club grew to 300 members, with branches throughout the state. It was officially incorporated in 1907. Club members also enjoyed social activities. In addition to many barbecues and hikes, they gathered in Big Basin for an annual club camping trip. In 1919 some of the members formed the Forest Play Association. They produced an original play performed in Big Basin entitled “The Soul of Sequoia, A Forest Play.” This was intended to be an annual event, but only lasted one more year. Throughout the history of the club, women played a pivotal role. They were among the founding members and the earliest officers. Laura White, a veteran of the suffrage campaign, became president in 1903 and served until 1906. Kate Moody Kennedy was president from 1907 to 1908. Carrie Stevens Walter was one of the original members and the first secretary. Hill became president of the club in 1908 and continued until his death in 1922, at the age of 69. 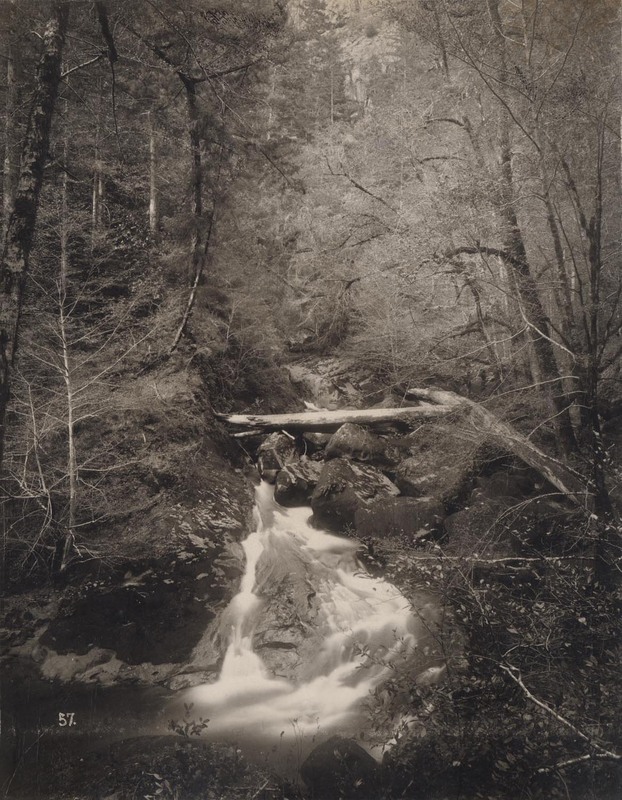 He worked tirelessly, often using his photographs of primeval forests and logged-out land to gain support for forest preservation. Herbert C. Jones was another influential member of the club. He was the son of Louise Jones, one of the founding members. When he was elected to the state Senate in 1912, he became a powerful advocate for the causes of the Sempervirens Club. He later became president of the club, serving from 1945 to 1968. The Sempervirens Club attained many of their goals. One of their last objectives was to preserve nearby Butano forest as a state park. After beginning the campaign in earnest in 1945, under the leadership of Herbert C. Jones, they finally succeeded in 1956 when the state purchased a portion of the land. In the 1960s, the club’s activities diminished as its leadership aged or died. In 1968 a new group of activists perceived a threat to the forests by developers, and formed the Sempervirens Fund, based on the vision and goals of the original club. The Sempervirens Fund continues to work for land conservancy and has succeeded in augmenting the size of Big Basin, notably the Berry Creek area, as well as adding to state park preserves nearby. 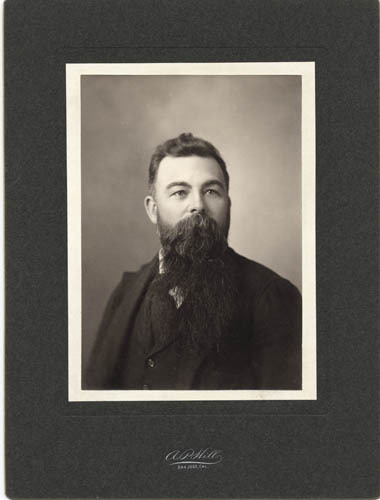 A selection of photographs by A. P. Hill, as well as portraits of the Hill family, can also be found in History San Jose’s Photographic Collection and the Leonard McKay Collection.